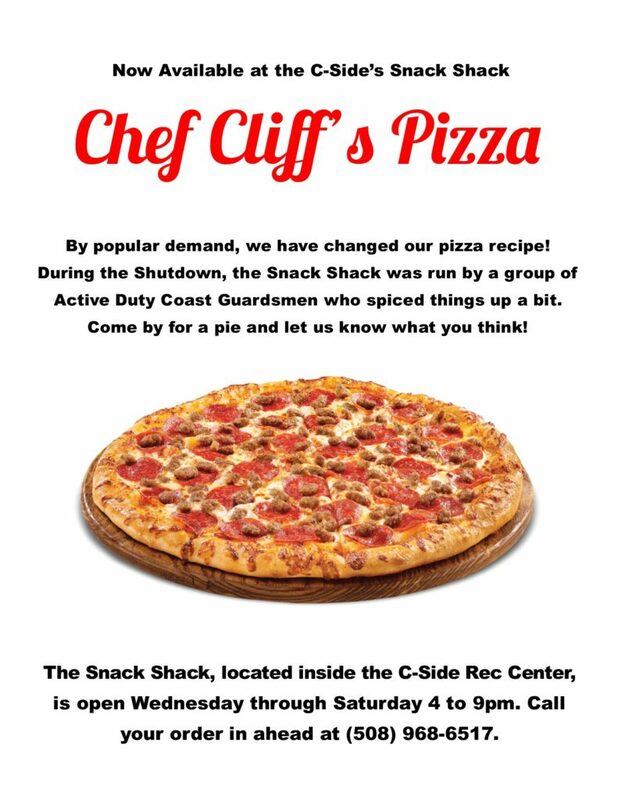 Chef Cliff’s Pizza Now Available at the C-Side! The Snack Sack is open Wednesday through Saturday from 4 to 9pm. Call your order in ahead at (508) 968-6517.